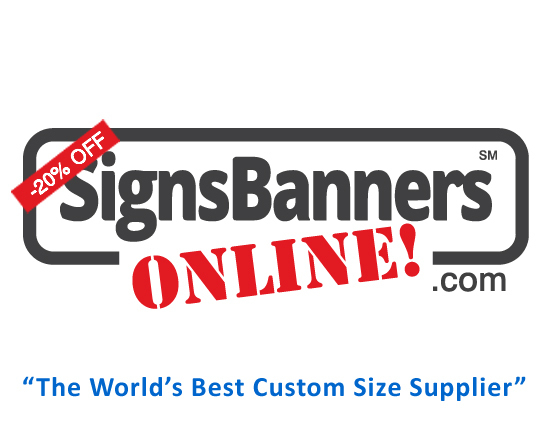 Many sign companies use https://www.signsbannersonline.com when they start to prepare their designs - How to make a banner sign - because their custom signs banners online template system is faster, accurate, opens in their graphics program and is free ( Now used over 12,798 times ) It customizes their set dimensions for what they want and shows them how to make it. The Easy Template Maker shows them all the information they want, the material allowance needed, the hem size dimensions for making rod sleeves, how to make the banner sign, how to print the edges AND where the graphics positions are. Within a few clicks you'll also know how to set up a printable banner sign or trade show fabric. Everyone can use it free. SO... if you're a freelancer, sign company, advertising agency, graphic design firm or buying wholesale for the first time... you'll find that signs banners online dot com has many free tools and big discounts. This tool helps you make a banner sign that you can send to a printing or manufacturing signage company.